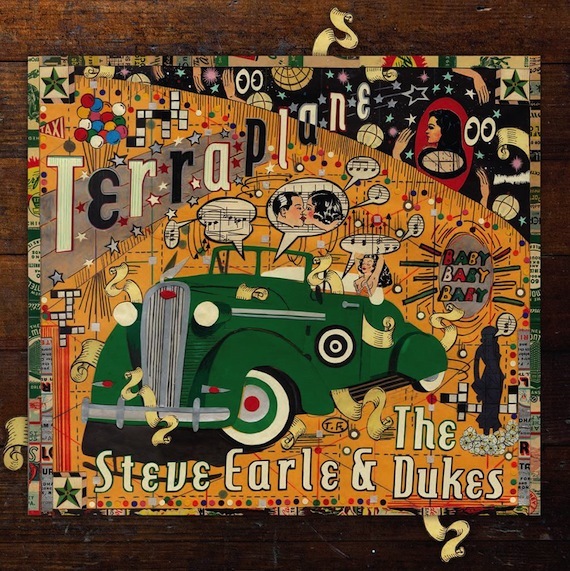 Steve Earle & The Dukes will release bluesy new album Terraplane on Feb. 17 via New West Records. (As previously reported, New West is opening its first Nashville office.) The 11-track set features Earle’s longtime band The Dukes, comprised of Kelly Looney, Will Rigby, Chris Masterson and Eleanor Whitmore. Produced by R.S. Field (Buddy Guy, John Mayall), and engineered by Ray Kennedy, the album was recorded at House of Blues Studio D in Nashville. It is Earle’s 16th studio album. A deluxe CD/DVD set of Terraplane will include an interview with Earle, three live, acoustic songs filmed on the porch of House of Blues Studio D, and a short film about the making of the album. The new track “You’re The Best Lover That I Ever Had” can be heard here. In more news from Earle, he is hosting his songwriting camp, Camp Copperhead, in New York’s Catskill Mountains July 20 – 24. He will play a residency at the City Winery in NYC during January, and 2015 will bring the publication of his memoir I Can’t Remember If We Said Goodbye (Grand Central Publishing/Hachette).